Comodo Dragon is a fast and versatile Internet Browser based on Chromium, with highest level of security. Created by Comodo, the popular antivirus company, Dragon browser offers best of Chrome's features PLUS the greater level of security & privacy. 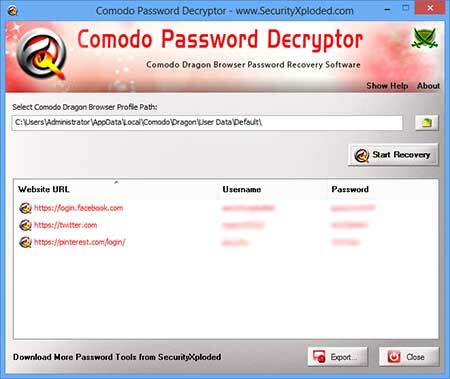 'Comodo Password Decryptor' automatically detects the Comodo Dragon browser profile path for the current user and decrypts all the stored website login passwords. 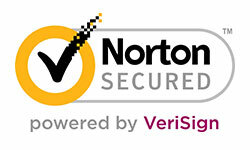 After the successful recovery, you can backup the recovered passwords to HTML/XML/TEXT/CSV file. 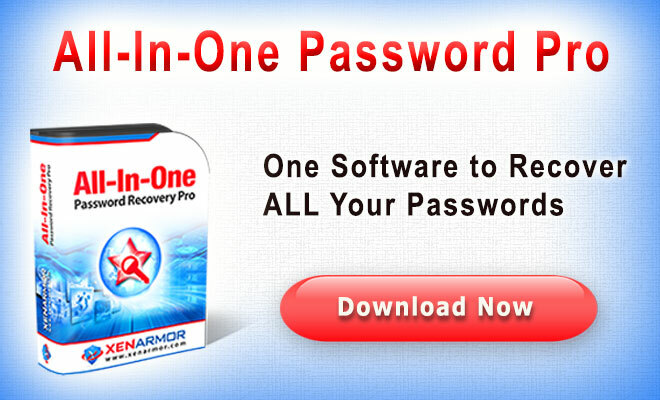 Comodo Password Decryptor is easy to use with its simple GUI interface. 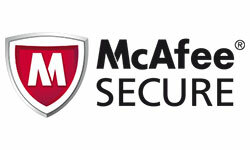 It will automatically display the default Comodo profile path for current user. However you can change the path using the 'browse' button or simply Drag & Drop your Profile folder. Next click on 'Start Recovery' button and all stored passwords from Comodo will be recovered & displayed in the list as shown in screenshot 1 below. Finally you can backp all recovered password list to HTML/XML/Text/CSV file by clicking on 'Export' button and then select the type of file from the drop down box of 'Save File Dialog'. Screenshot 1: ComodoPasswordDecryptor showing the Recovered Web Login Passwords from Comodo Dragon browser. Major 2017 edition with support for recovering web login passwords from latest Comodo Browser. Also includes new Installer. 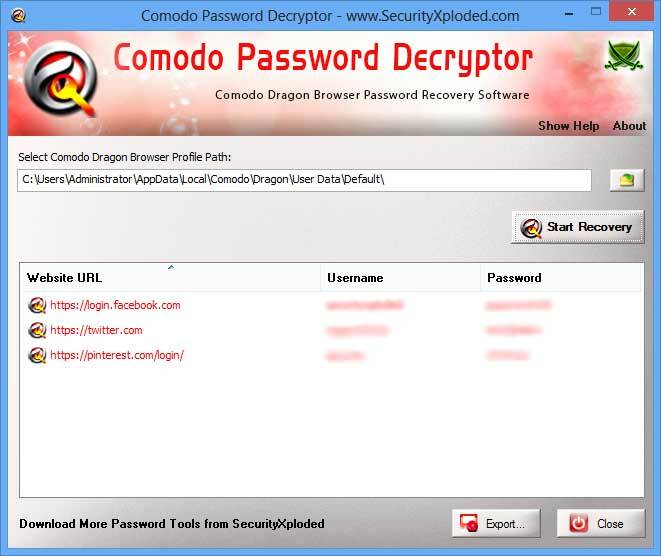 Mega release with support for recovering Comodo Dragon passwords on new Windows 10. 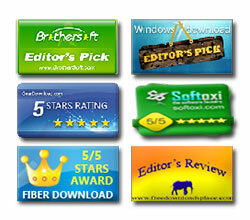 Enhanced Installer for dynamically downloading of latest version. 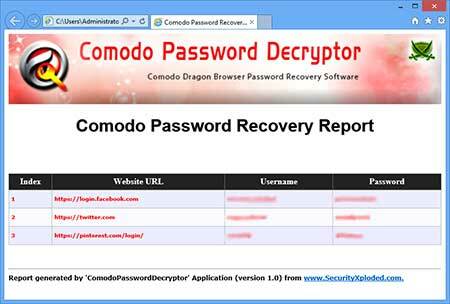 New feature to generate Comodo password recovery report in CSV (Comma-Seperated Values) File Format.